With November 13’s press event from HTC and Verizon nearing, it only makes sense that an official press render for the HTC DROID DNA would appear. Thanks to @evleaks, the picture above is the cleanest we have seen to date. 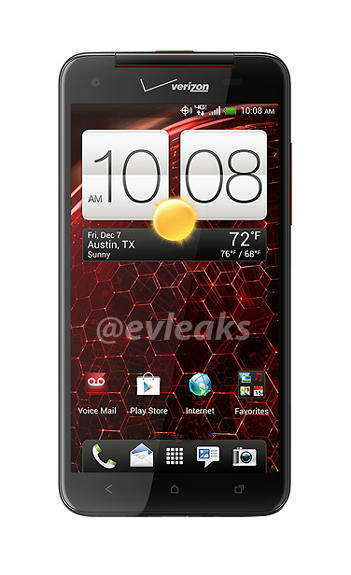 Is it just me, or does it really look like a new version of the original HTC Incredible? Nothing new is necessarily revealed from this press shot, other than how beautiful of a device it appears to be. As you all know, the display measures in at 5″ with a 1080p resolution and 440ppi. The software is Android 4.1 with HTC’s Sense 4+ skin on top. Inside, we have a quad-core Snapdragon S4 Pro processor, 2GB RAM, an 8MP rear camera, a 2MP front camera, and 4G LTE. Update: As a reader in the comments pointed out, the wallpaper on the device matches the teaser image in the press invite. If there were any doubts about next week’s event not being for the DNA, this should squash them. The DNA should be a heck of a device. And yes, I see that the date on the display says “December 7,” but no, I do not believe that’s a hint at the release date.